All returns must be declared in writing within 5 business days of delivery. Printed Playing Cards will refund the entire order if the error in product or imprint is the fault of Printed Playing Cards. If a customer has signed off on the artwork and product information we will not accept any returns or reimburse any funds related to that order. We always ensure that the client receives a proof and order acknowledgement to ensure that any mistakes are caught before the order process is complete. 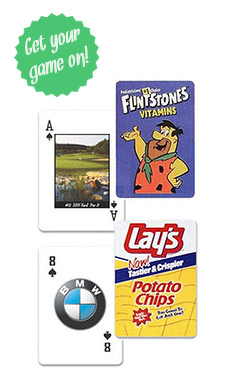 We are proud to say that we have a less than .01% return rate on products purchased from Printed Playing Cards.